Today was Day #6 of Chocolate and Hemp Theme Week. 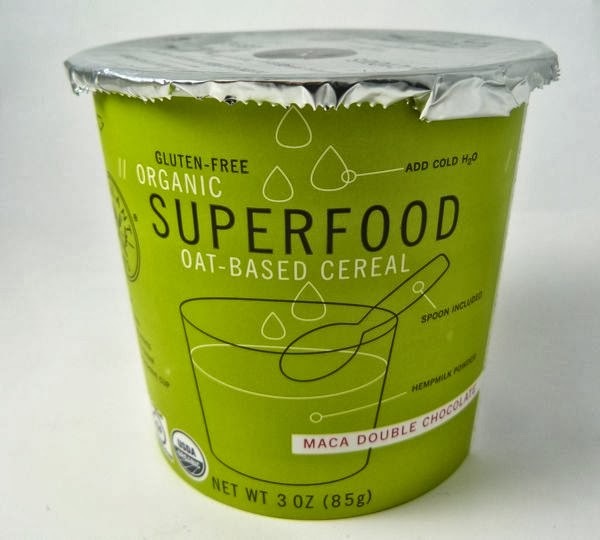 This morning I enjoyed another organic, vegan chocolate breakfast cereal (Maca Double Chocolate Superfood) from Vigilant Eats (Bloomington, IN), made with gluten-free oats and hemp powder. I added a few walnuts, some toasted hemp seeds, and a little hemp milk, and I had a satisfying, filling breakfast guaranteed to power my activities until lunch. 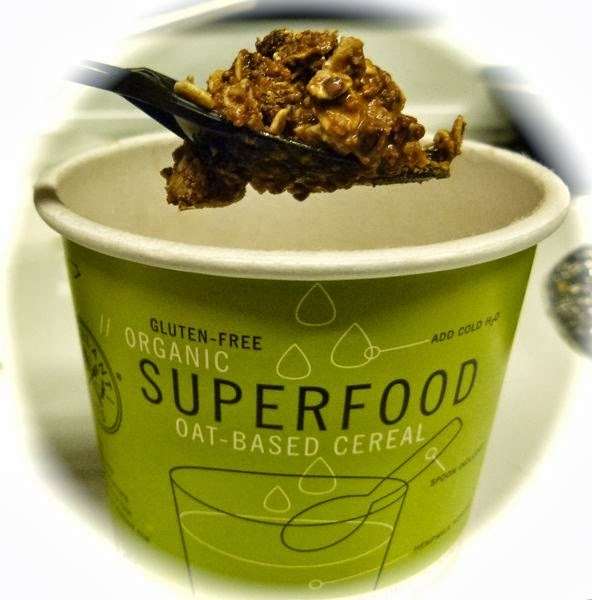 Similar to the company's Goji Cacao flavor of oat-based cereal I ate earlier this week, this single-serving container was conveniently packaged with a foldable black plastic spoon. All I needed to do was to pour in some liquid (cold or warm water, milk, or alternative milk), and stir.